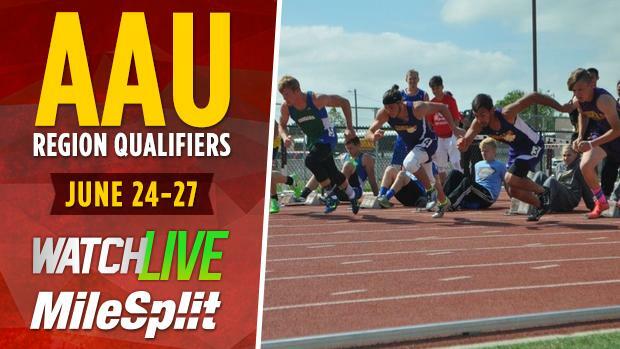 WATCH AAU Region 16 Qualifier LIVE On MileSplit! The AAU Region 16 Qualifier will be LIVE streamed on MileSplit this upcoming weekend on June 25th & 26th from Free State High School in Lawrence, Kansas. We will also have archived race video coverage from the meet as well. AAU Region 16 includes athletes from Kansas, Oklahoma, Arkansas, and Western Missouri. For only $11.99 per month or $48 per year, become a MileSplit Insider to gain full access to not only the live stream of the AAU Region 16 Qualifier, but full access to MileSplit's year around coverage of high school track & field state in your state and nationally. Get a chance to also watch the future high school stars in the age groups ranks as well coming up in the AAU summer track circuit compete LIVE!